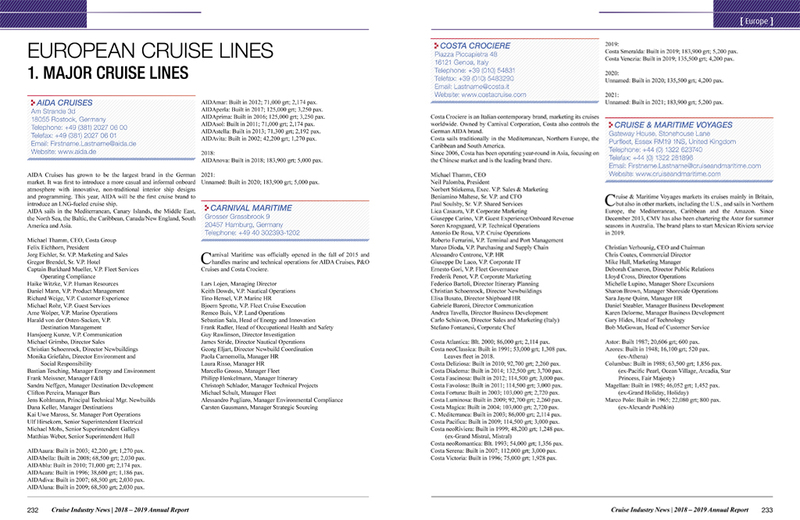 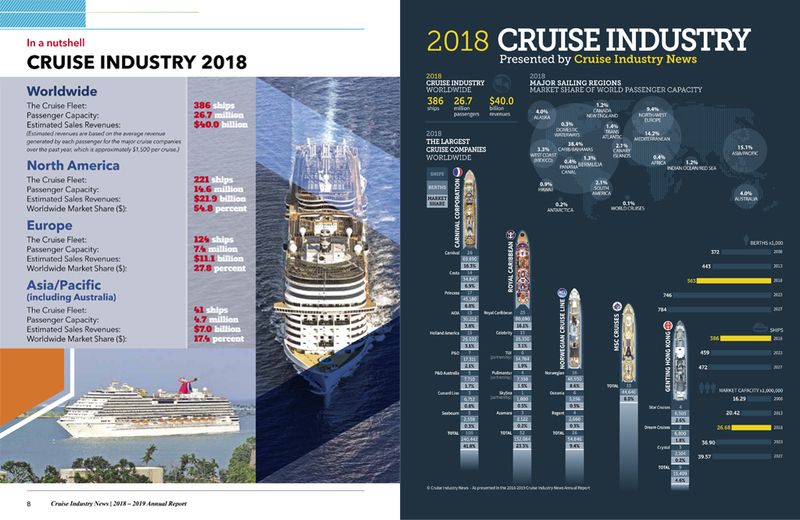 The Cruise Industry News Annual Report is the only information resource of its kind -- presenting the entire worldwide cruise industry in a 400-page report, from new ships on order to supply-and-demand scenarios from 1987 through 2027, including a future outlook including 2027+ growth projections for each cruise line, and detailed ship deployment by region and market of all the cruise lines. 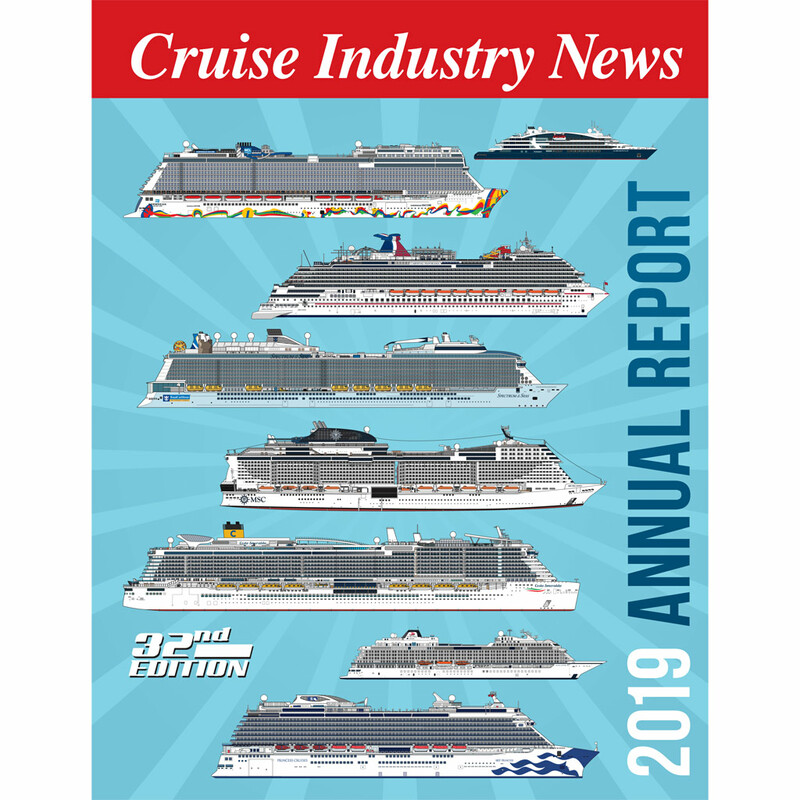 If you are looking for a complete past, present and future global briefing on the cruise industry, look no further than the 32nd edition of the Cruise Industry News Annual Report. 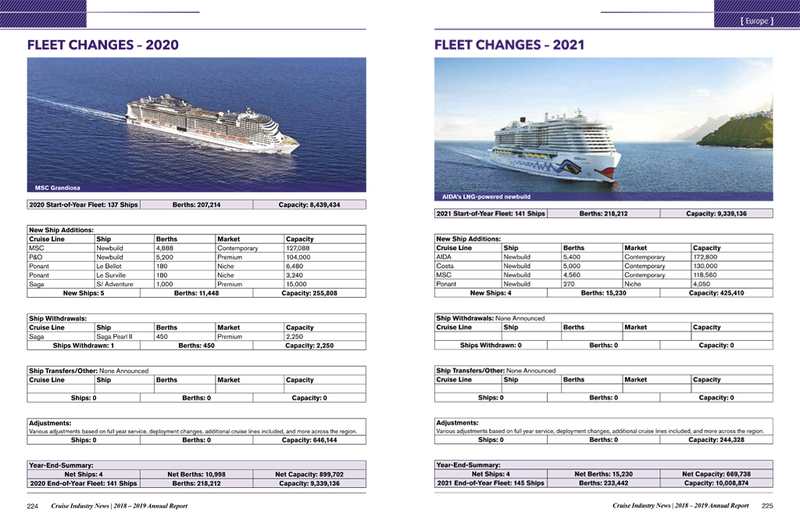 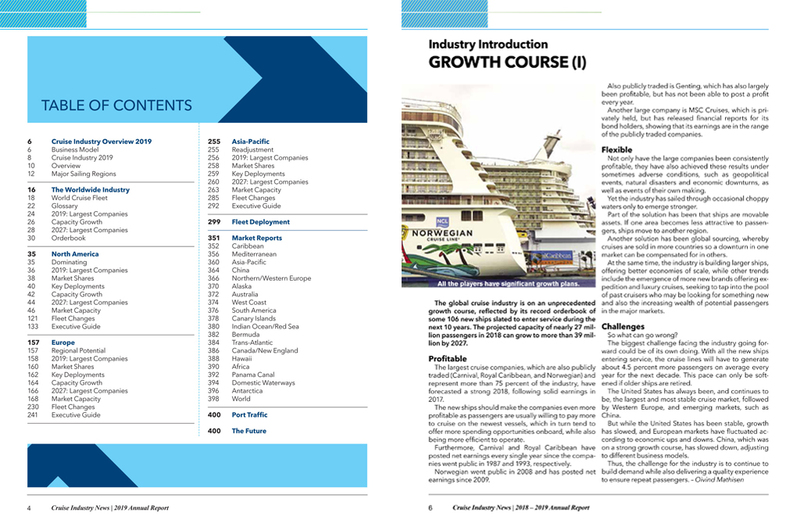 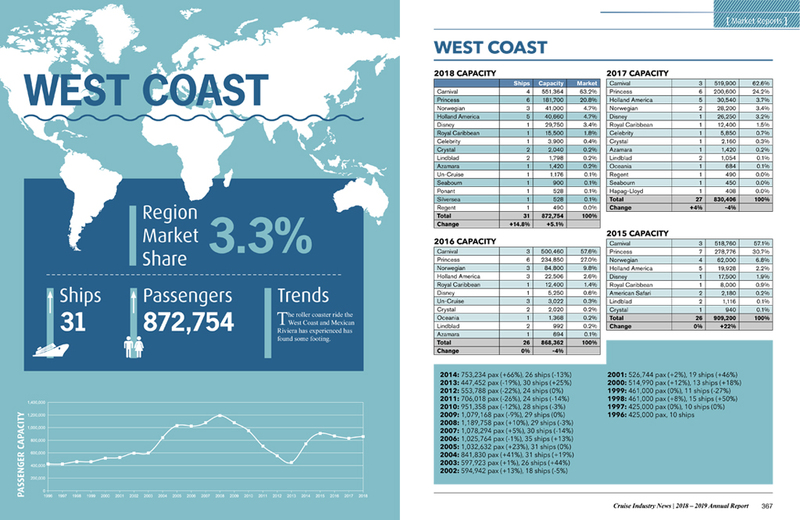 • If you are a cruise line executive: CINA 2019 gives you a total and objective overview of the industry, including profiles and growth forecasts for all the cruise lines through at least 2027. 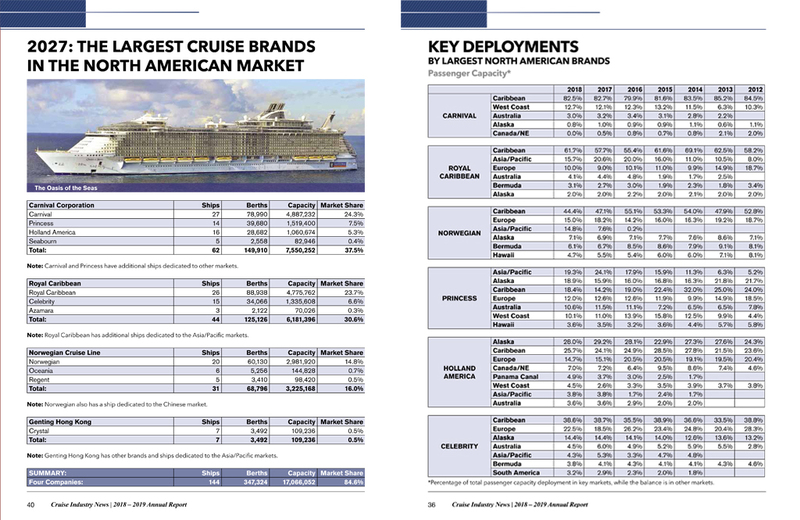 • If you are a financial analyst: CINA 2019 gives you independent company and market growth forecasts, including supply/demand scenarios through 2027. 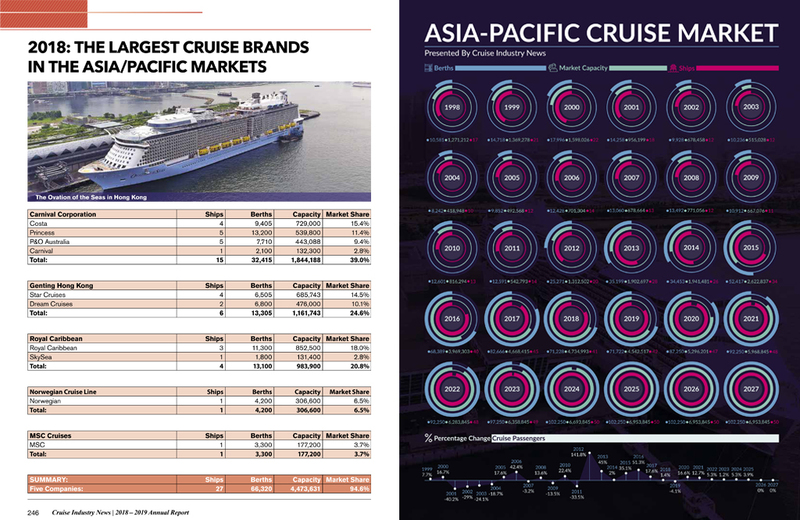 • If you are a port executive: CINA 2019 tells you about each line's ship deployments in your region, and tracks the growth of each port and each sailing region. 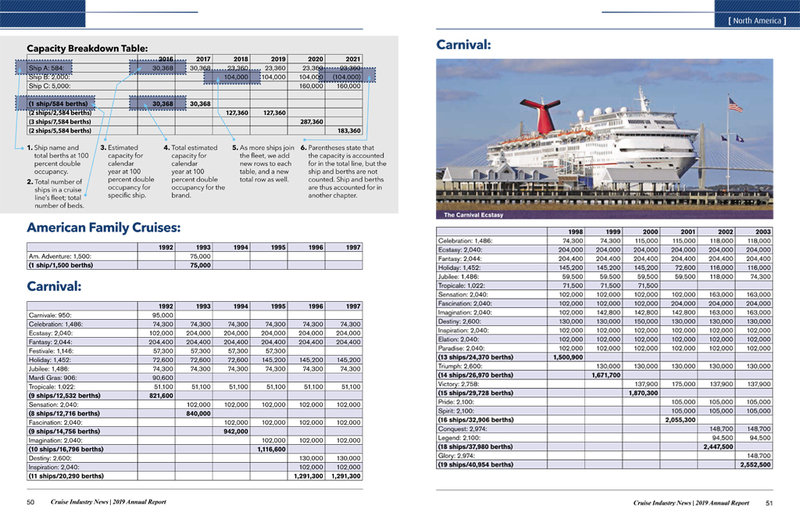 • If you are a supplier: CINA 2019 gives you the information you need to make informed decisions about your involvement in the cruise industry. 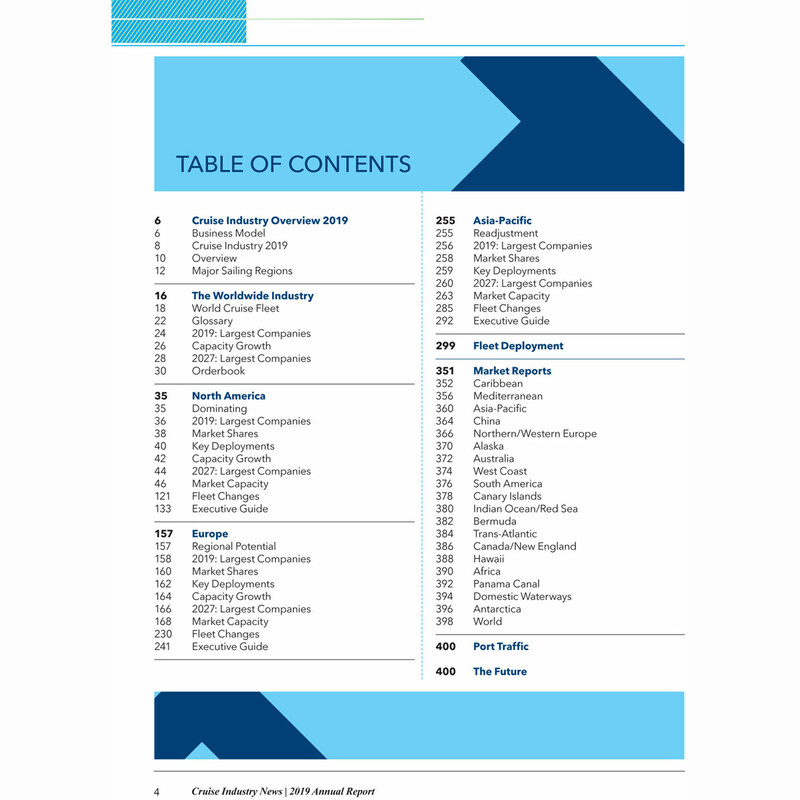 • If you are a new supplier: CINA 2019 gives you the market intelligence and sales leads you need to target the industry. 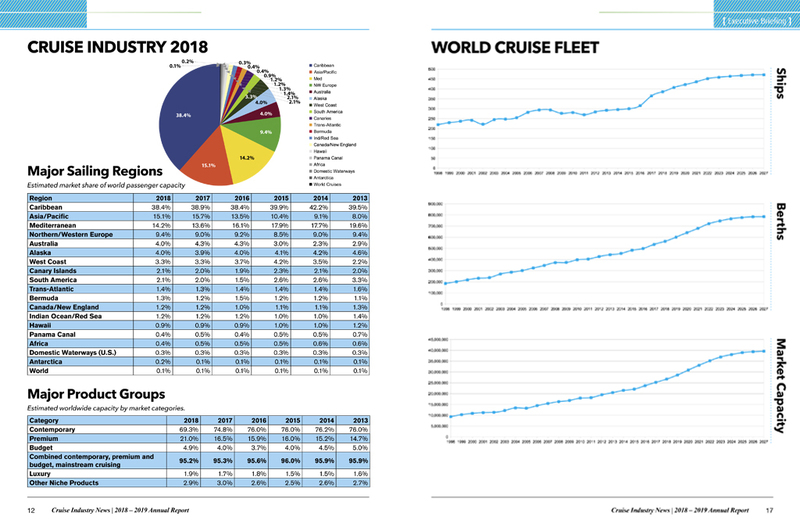 Macro Level: Big picture data for the major and minor players, showing their footprints in 2019 and projected out through 2027. 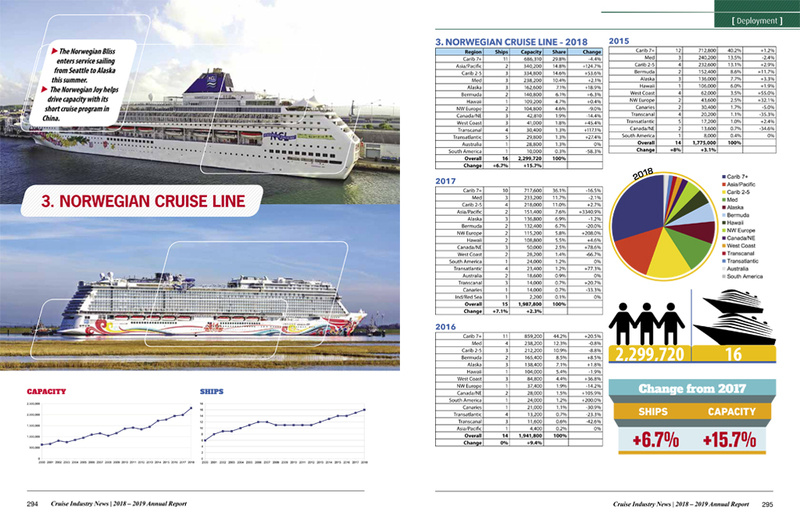 Shipping: The Annual Report ships via FedEx globally, ensuring a timely delivery.